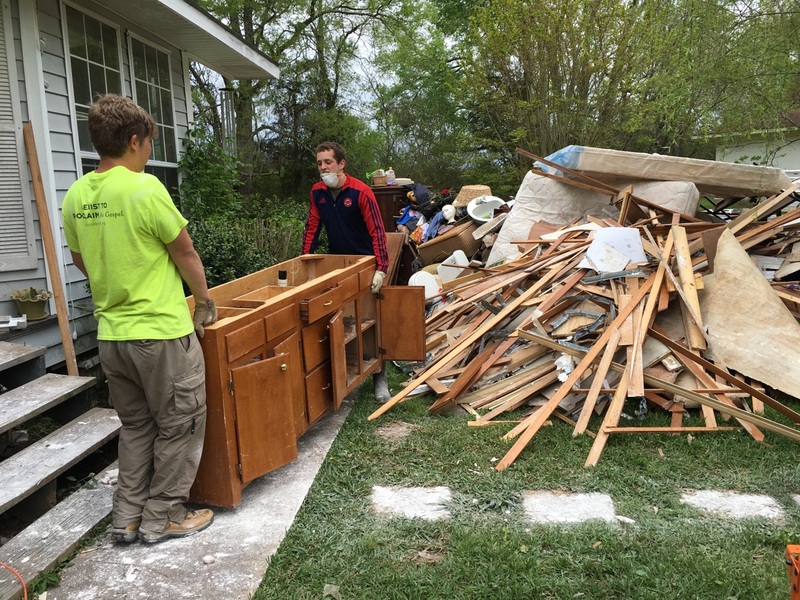 NSU student Chase Slater and volunteer intern Myles Parker remove flood impacted bathroom cabinets from an affected residence. 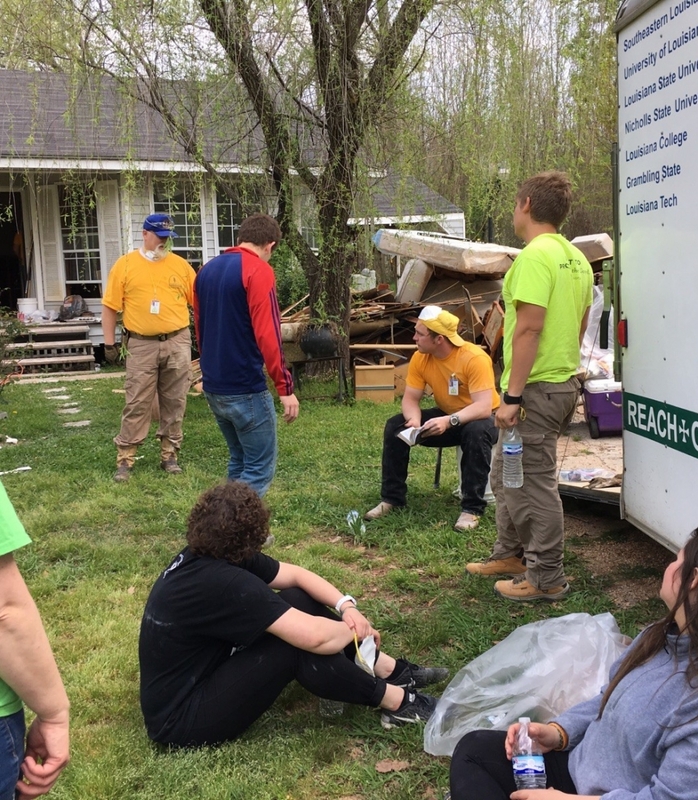 NATCHITOCHES – After eight consecutive days of clearing debris from yards and cleaning out the inside of homes damaged by recent flooding in Natchitoches, students from Northwestern State University’s Baptist Collegiate Ministry have taken a break from disaster relief efforts. 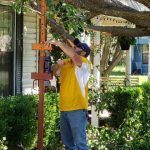 Since last week, 25 students from the BCM have completed jobs at six homes. Once they return from spring break next week, the students will continue their disaster relief efforts after morning classes on Tuesday, Thursday and Friday afternoons. 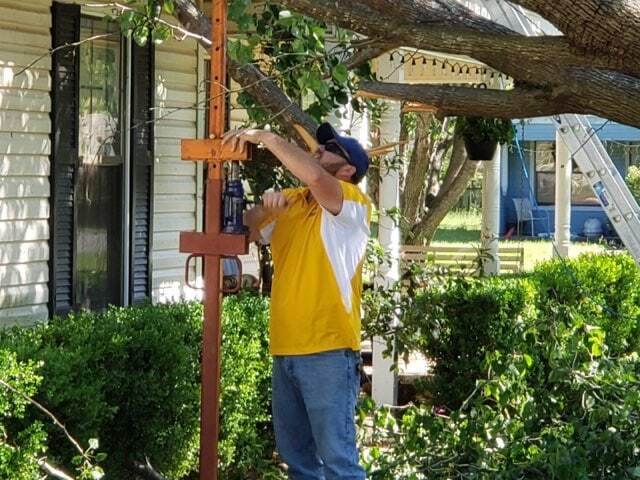 Most of the homeowners they assisted were Louisiana Baptists, though the students did share the gospel with one homeowner who is not a member of a Baptist church. 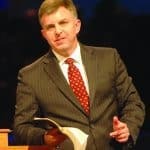 While the homeowner did not accept Christ, NSU BCM Director Bill Collins said the seeds were planted for a possible conversion one day. NSU students take a much-needed water break during day eight of flood recovery efforts. 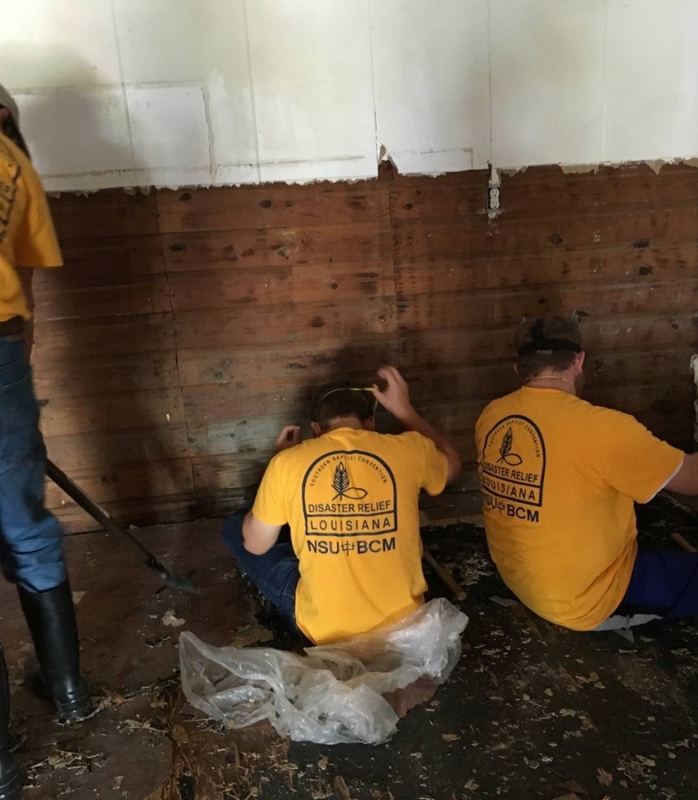 Several students from the Northwestern State BCM work on floor removal at a home in Natchitoches. 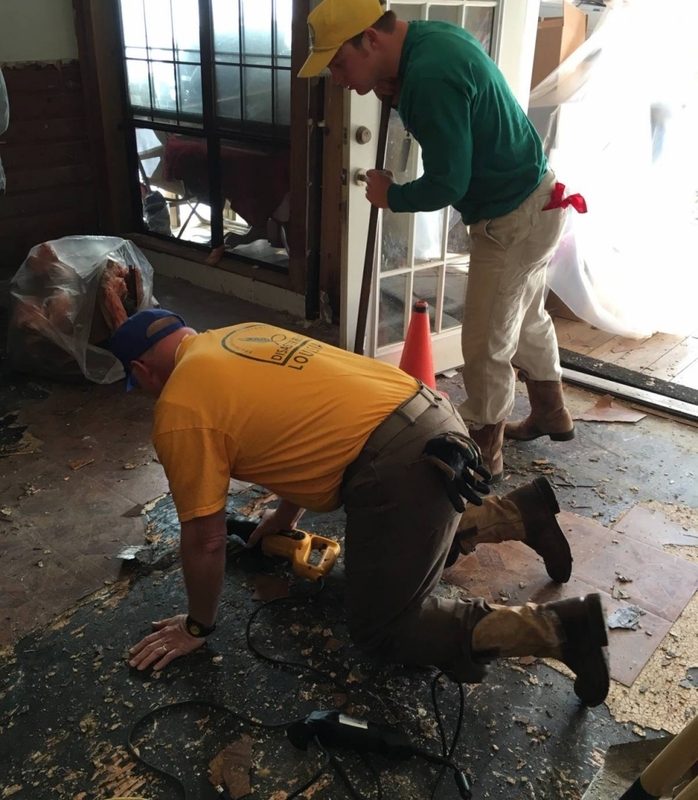 NSU BCM Director Bill Collins and student Cole Laird work to remove several layers of damaged flooring at a home.